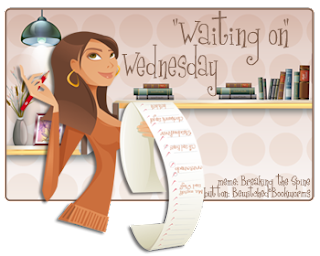 "Waiting On" Wednesday is a weekly event hosted by Breaking the Spine to spotlight an upcoming release that we're excited about. This week I'm waiting on The Apothecary by Maile Malloy. What can I say, I'm a sucker for a plot line that involves an apothecary. I also LOVE the fact that there's a mystery mixed in with romance mixed in with the London scene. Excellent. Also I think it's adorable that the Ben character wants to be a spy and the cover is truly excellent. The apothecary comes out Oct. 4. Here's My Waiting on Wednesday Pick! Please try to visit our Thoughts and Rant about Jace Wayland Being Casted! That looks great! I agree about the cover, it's gorgeous. Also, yay for male protagonists! This does sound fun! Russian spies and nuclear weapons - exciting! Thanks for stopping by and checking out my wow. This book sounds so original, it's a great pick!